The Adder redundant power supply (RED PSU) provides your installation with the power to grow on demand. Housed within a 1U 19-inch rack mount module, RED PSU delivers up to sixteen lockable power 12VDC outputs, hot-swapable power modules and remote management. 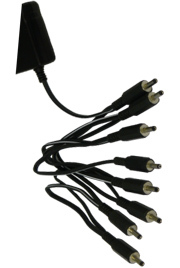 12V to 5V cable converters available for units with 5V power feeds. The Adder redundant power supply (RED PSU) provides your installation with the power to grow on demand. Housed within a 1U 19-inch rack mount module, RED PSU delivers up to 8 lockable power 12VDC outputs, hot-swapable power modules and remote management. 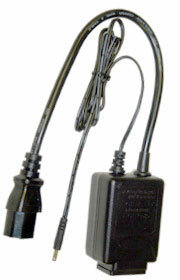 Optional Power Adapter for the Adderview range of switches. This is required if you are intending to cascade Adderview switches. This Power supply intended for the Adder Smart View, but will work with the AdderView range is auto-sensing 110v/230v and, as the part no. suggests has an IEC connection to plug in a standard AC power cord. 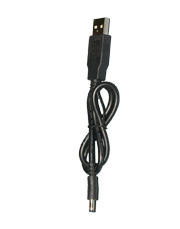 The P-USB-1.3-350 is a USB Power take-off lead, 350mm in length. 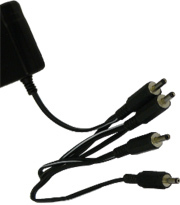 The P-USB-1.3-700 is a USB Power take-off lead, 700mm in length. The PS-5V1.6A-1.3x4 is a multi-drop 5V PSU with 4 x 1.3mm DC Jacks. To reduce the number of power supply points when using a central location for CatX products, SY Electronics can provide multi-gang 1.3mm 5V DC connector leads. Two types are available for either four or eight 5V DC power connections. 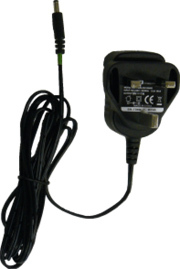 Both these cables have their own 5VDC power supply attached and a mains supply lead is also provided. 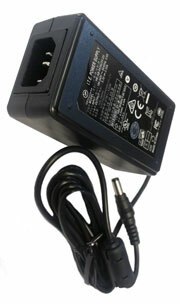 The PS-5V1A-1.3-EU is a 5V 1A EU PSU with a 1.3mm DC Jack. Suitable for all CatX VGA extenders. Supplied as standard with CatX AVP Tx8, CatX AVP Repeater 4/8 and CatX Mini AV Rx units. This PSU is available in UK or EU (Europlug) style plug. 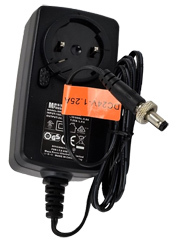 The PS-5V1A-1.3-EU is a 5V 1A UK PSU with a 1.3mm DC Jack. The PS-5V-2A-1.3-ILP is an in-line PSU with a 1.3mm DC Jack. Small 5V @ 2A DC PSU with 1.3mm DC jack, an IEC 60320 type C14 inlet and an IEC 60320 type C13 connector on a short cable. Suitable for all CatX VGA extenders in the CatX AV and AVP ranges. This PSU is especially useful when there is only one power outlet available at the CatX receiver location. Simply plug the IEC connector that would normally go to the display to the PSU and attach the IEC connector from the PSU to the power input of the display. Then connect the 1.3mm 5V DC connector to the CatX receiver and you're ready to go. The PS-5V3A-1.3x8 is a multi-drop 5V PSU with 8 x 1.3mm DC Jacks. The SY-PS-24/1U is a 24V PSU for SY-HDBT-70P Transmitter or Receiver. 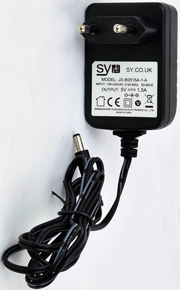 The SY-PS-48/1U is a 48V PSU for SY-HDBT-70-SLIM Transmitter or Receiver. The SY-PS-24x4 is a 4 Way 24V Power Supply for SY-HDBT-70-P. The SY-PS-48x4 is a 4 Way 48V Power Supply for SY-HDBT-70-S.